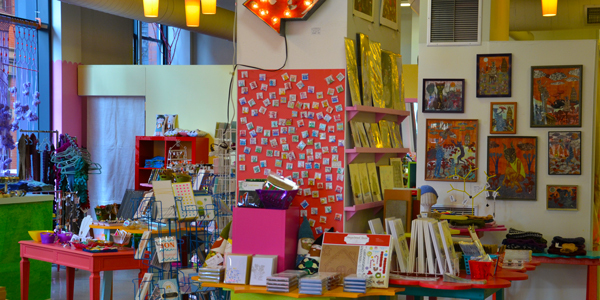 Craftland, the plucky Providence, Rhode Island art shop, is moving. The new shop will be at 212 Westminster Street, 164 feet from their old space. The new shop opens on July 5th. It’s difficult to decide where to start describing Craftland, but I will try: Imagine you were a character in the old Milton Bradley board game Candyland and imagine you had found King Kandy and were hanging out in Candy Castle with Queen Frostine and Gramma Nutt and Plumpy eating plums and gingersnaps from Mamma Gingersnap and everything was red, green, blue, yellow, orange or purple. Now imagine Gramma Nutt and Queen Frostine decided to open THE MOST AWESOME shop in all of Candyland. That would be Craftland. What started as an annual art sale in 2002 became a year-round, brick-and-mortar shop on trendy Westminster Street in downtown Providence. 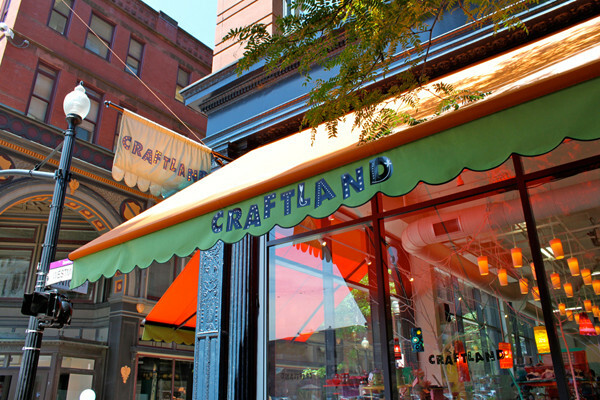 Craftland sells artsy objects and hand-made items or in their words, they “celebrate all kinds of sparkly handmade objects and the people that make them.” Think Etsy without the Regretsy. They have an incredible eye and show quality art and art products by some of the best artists and craftspeople from around New England. Craftland is a big supporter of Kasini House. They hosted the second Kolaj Magazine Meet & Greet in 2013 and were one of the first places in the US to stock the magazine. 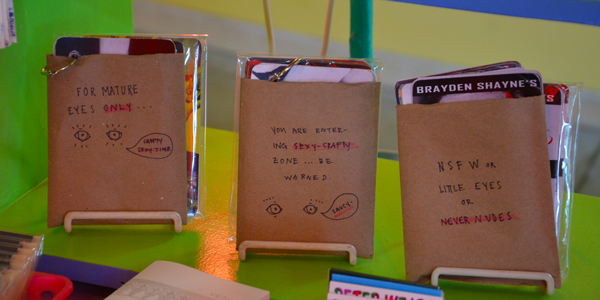 Craftland was instrumental at introducing us to artists for the Pop-Up Art Market. They carry a number of ARTSHOP items like Collage Artist Trading Cards and Cats from Art History magnet packs. So the next time you’re in–heck, after July 5th, road trip to–Providence, stop in and check them out and say hi from Kasini House.